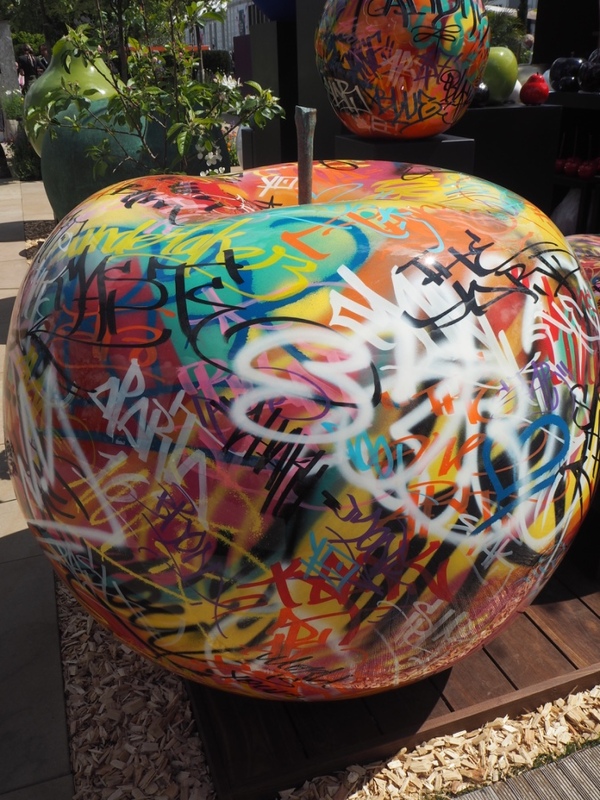 The 30 gardens at the 2016 RHS Chelsea Flower Show are the main attraction.They draw you in with their grand design, fantastic colours and most are magical and inspiring. 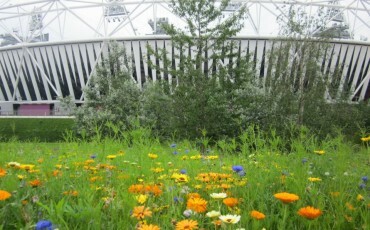 In total, there are 17 show gardens, six artisan gardens, and seven fresh gardens which showcase the best of garden design and landscape. 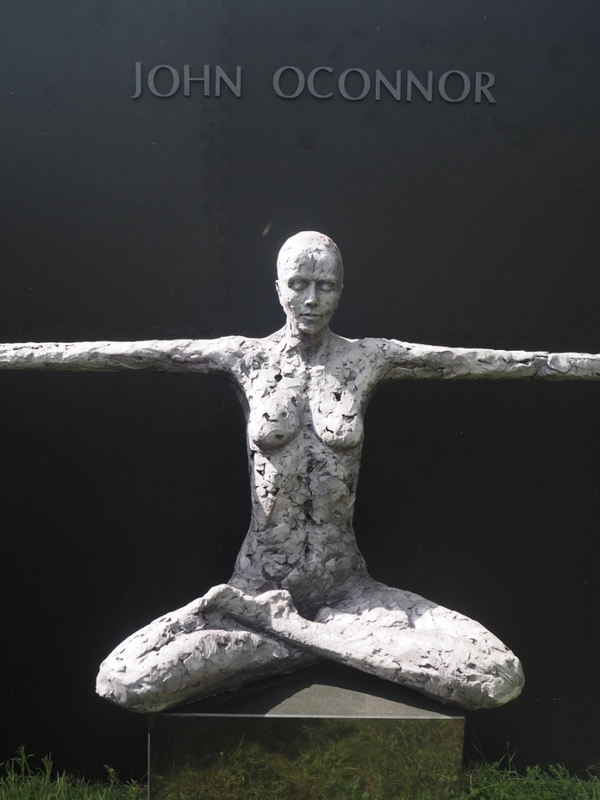 Complimenting and often enhancing these designs are garden sculptures – some are grand in nature and price and others are inexpensive and whimsical. Below are 14 of the larger garden sculpture displays from the 2016 RHS Chelsea Flower Show. 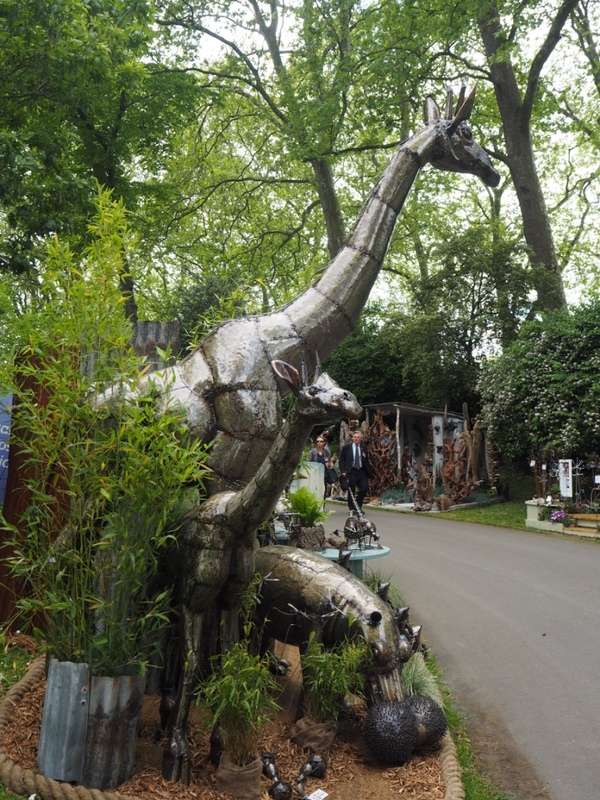 2016 Chelsea Flower Show: Chi-Africa Recycled Metal Sculptures. Photo Credit: ©Ursula Petula Barzey. 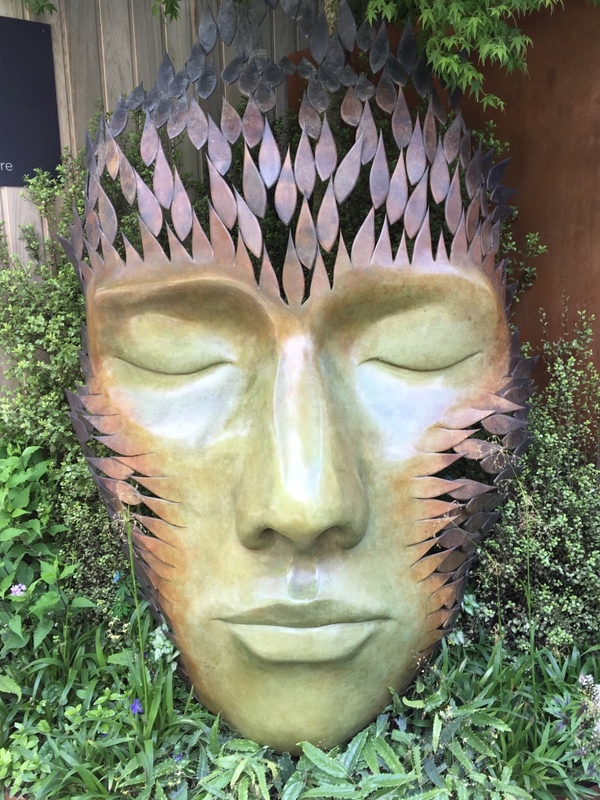 2016 Chelsea Flower Show: Simon Gudgeon Sculpture – Tree Spirit. Photo Credit: ©Ursula Petula Barzey. 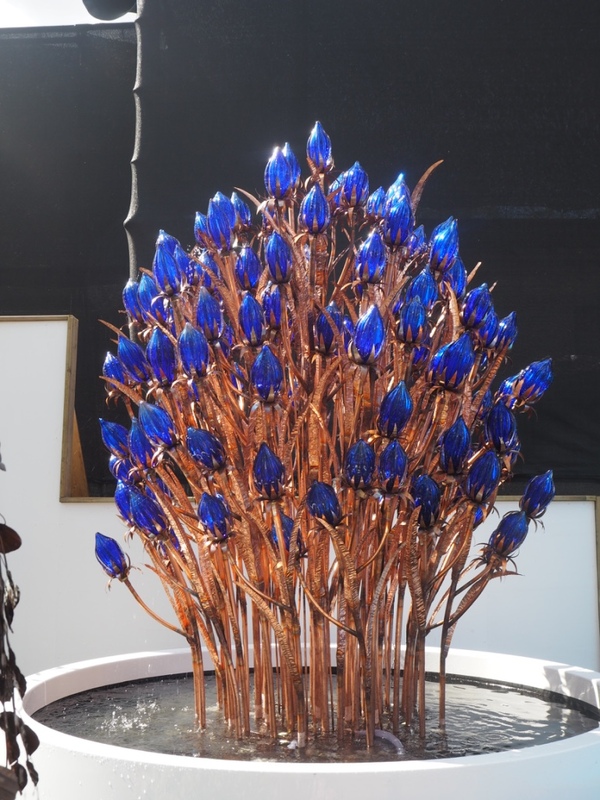 2016 Chelsea Flower Show: Quist – Isfahan sculpture with copper and dark blue glass. Photo Credit: ©Ursula Petula Barzey. 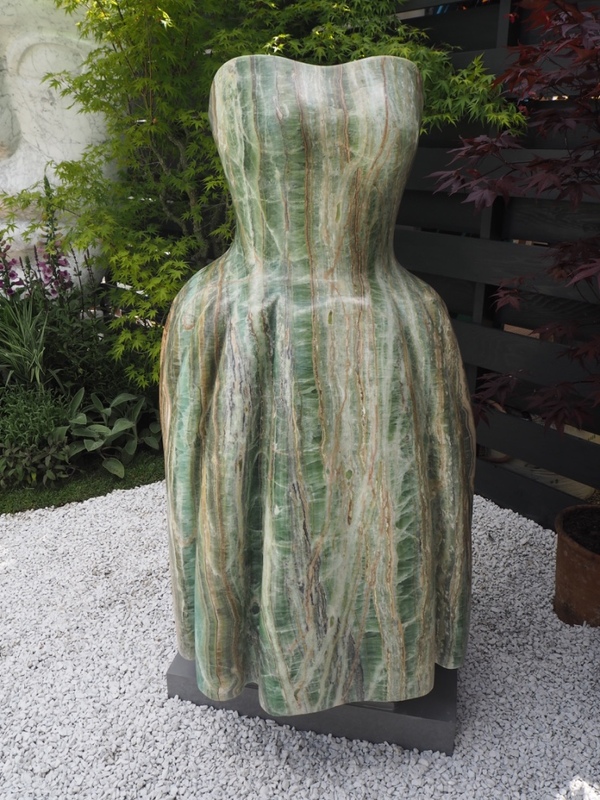 2016 Chelsea Flower Show: Paul Vanstone onyx dress sculpture. Photo Credit: ©Ursula Petula Barzey. 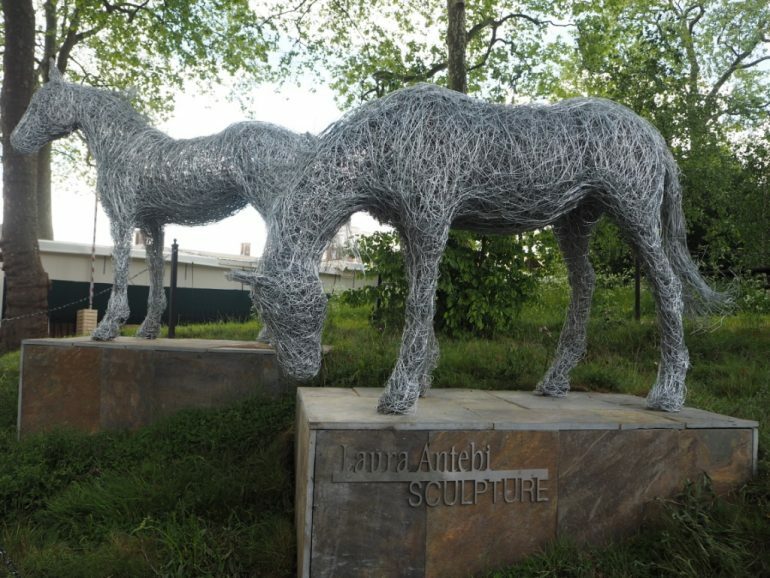 2016 Chelsea Flower Show: Laura Antebi wire animal sculptures. Photo Credit: ©Ursula Petula Barzey. 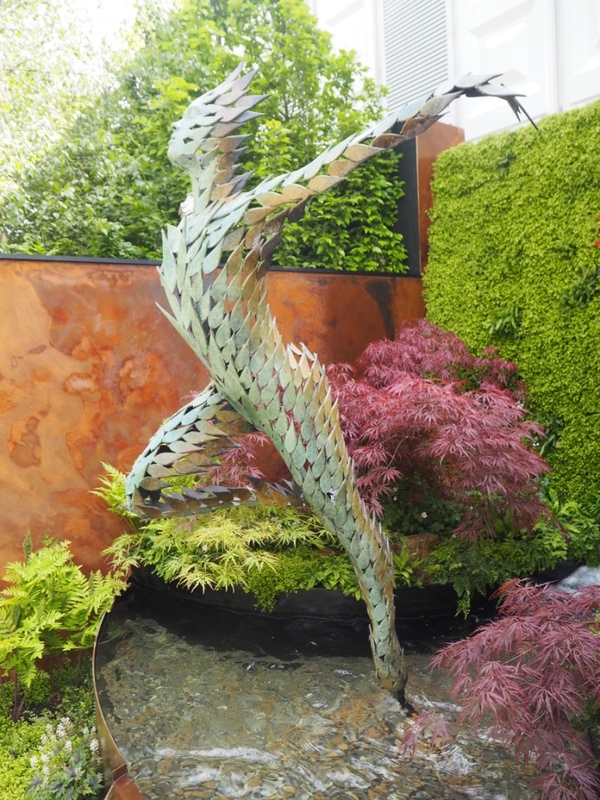 2016 Chelsea Flower Show: Simon Gudgeon Celeste Sculpture. Photo Credit: ©Ursula Petula Barzey. 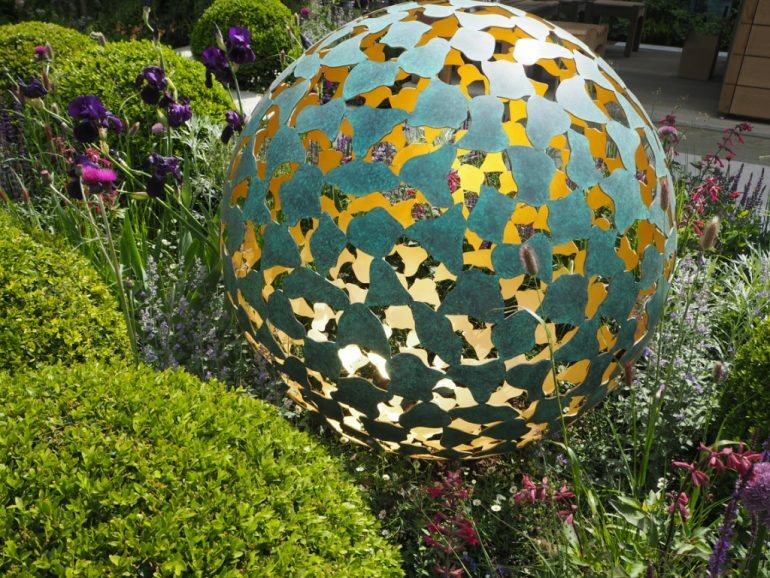 2016 Chelsea Flower Show: David Harber Sculpture. 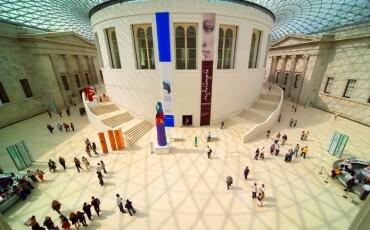 Photo Credit: ©Ursula Petula Barzey. 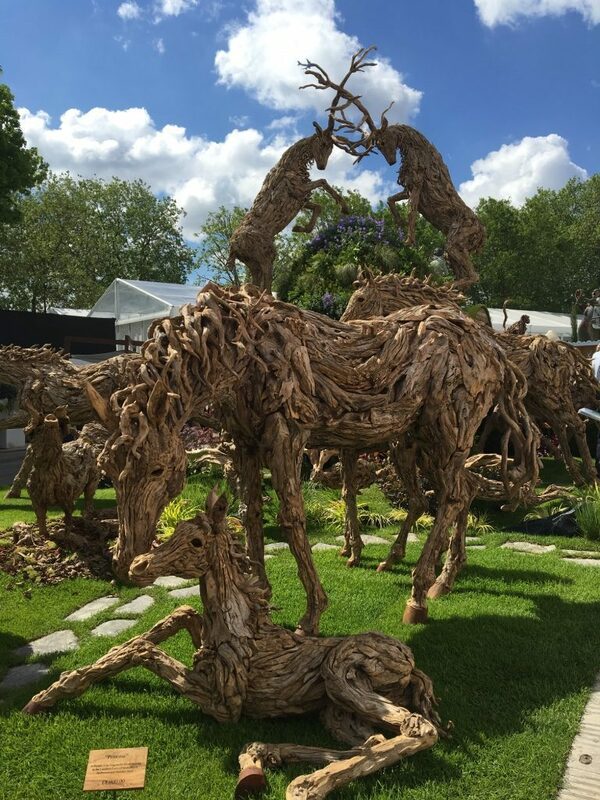 2016 Chelsea Flower Show: John O’Connor Sculpture. Photo Credit: ©Ursula Petula Barzey. 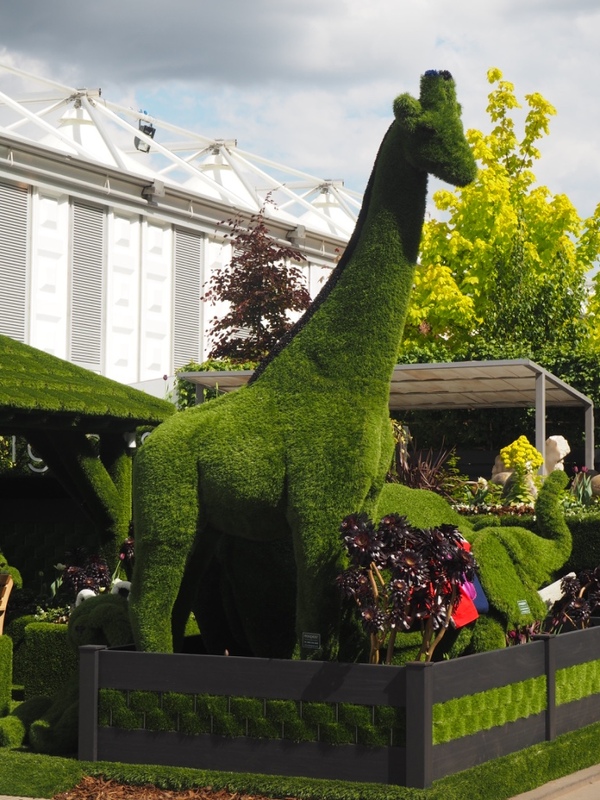 2016 Chelsea Flower Show – Animal sculptures made with artificial grass. Photo Credit: ©Ursula Petula Barzey. 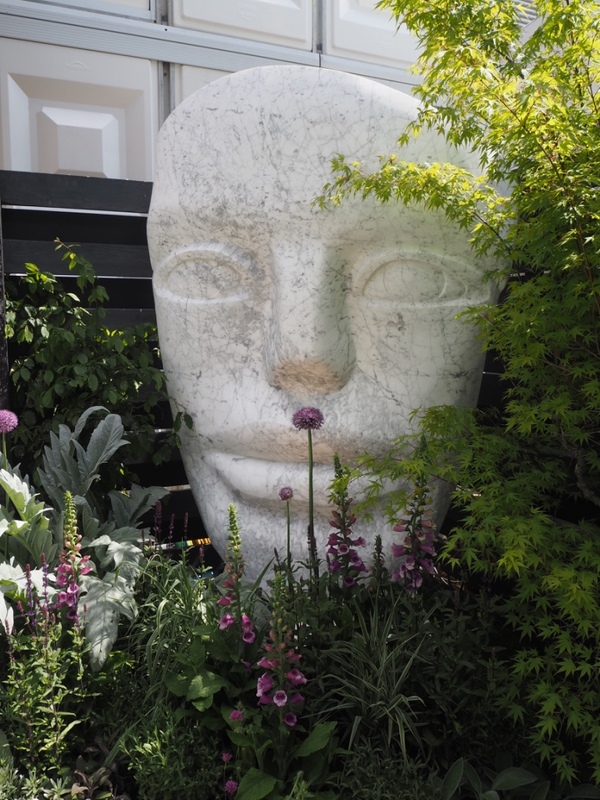 2016 Chelsea Flower Show: Paul Vanstone head sculpture. Photo Credit: ©Ursula Petula Barzey. 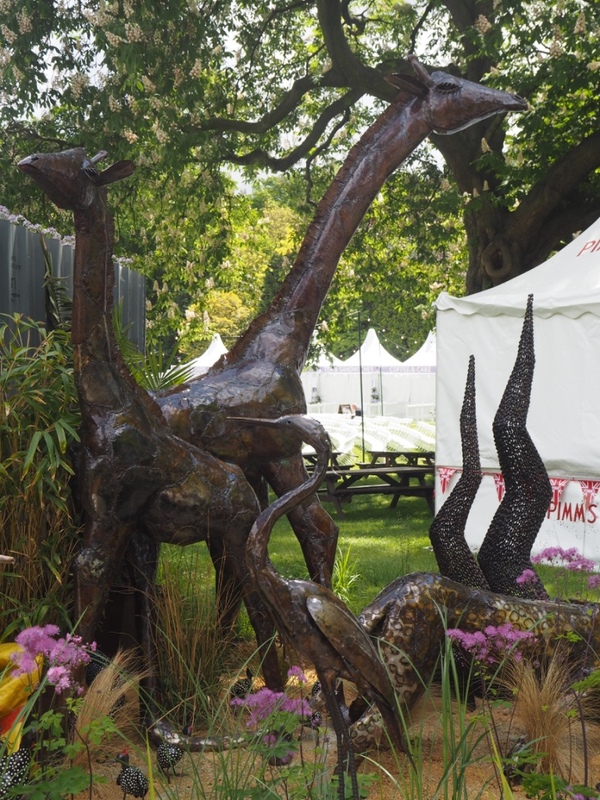 2016 Chelsea Flower Show: James Doran-Webb Animal Sculptures. Photo Credit: ©Ursula Petula Barzey. 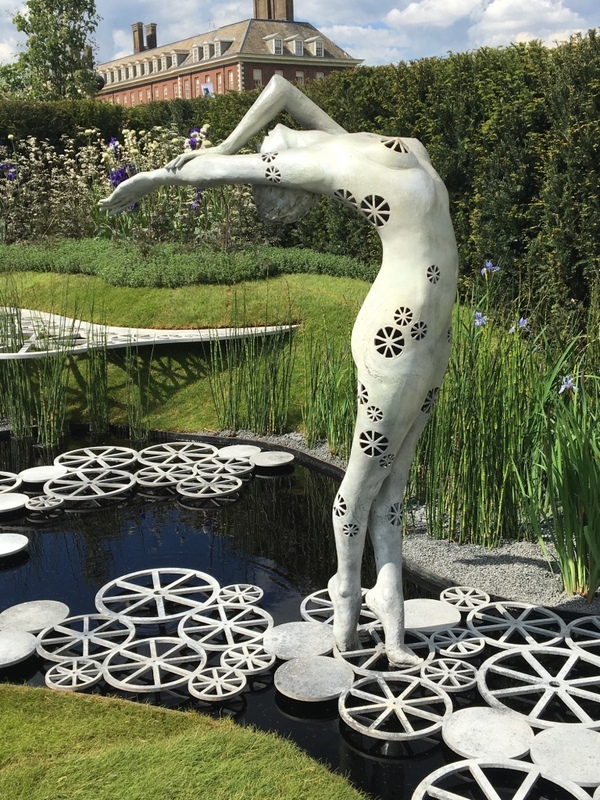 2016 Chelsea Flower Show: Arching Bronze Figurative Water Feature – River of Time created by Ukrainian sculptor Victoria Chichinadze. Photo Credit: ©Ursula Petula Barzey. The RHS Chelsea Flower Show in London is on from 24 – 28 May 2016. Ursula Petula Barzey is a Digital Marketing Consultant who enjoys all that London has to offer to its residents as well as visitors from all across the globe.